A light boat under gathering skies. This boat was built for active duty somewhere out in the Baltic sea in 1903. 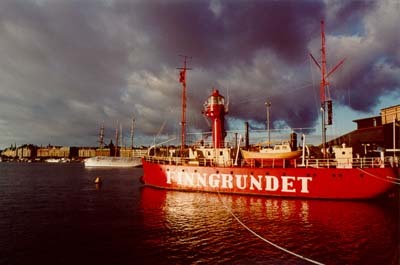 Grund means 'shoal' or 'reef' in Swedish. Finngrudet means something like 'Shoal of drunken Russians'.